Lake Bled is Slovenia premiere wedding location. The main landmark of the area is a beautiful alpine Bled Lake with the tiny island in the middle and a castle standing firmly on a high rock on the shores of the lake. The whole region is surrounded by high mountains. By the lake, there are nice lakeside villas and parks which form together with the ancient castle and the chapel the island ideal venues for a breath-taking, beautiful and stylish wedding. Bled, especially its island, has been attributed with magical powers since long times. It is no coincidence, that it is a very popular location for wedding ceremonies. Couples in love from Slovenia and the entire world come here to seal their love in this magical surrounding and vow eternal loyalty to one another. A traditional Pletna boat ride to the island, a wedding ceremony in a romantic church on the island in beautiful environment, ringing of the wishing bell in the church on the Island, coach ride around the lake, champagne at the lakeside, …– all of these can be moments of your magical Lake Bled wedding. The amazing view from the castle’s terrace on the surrounding landscape and the Bled Lake bellow leaves no one untouched. This is one of the reasons why many couples upon their visit to Bled decide to get married at Bled Castle. 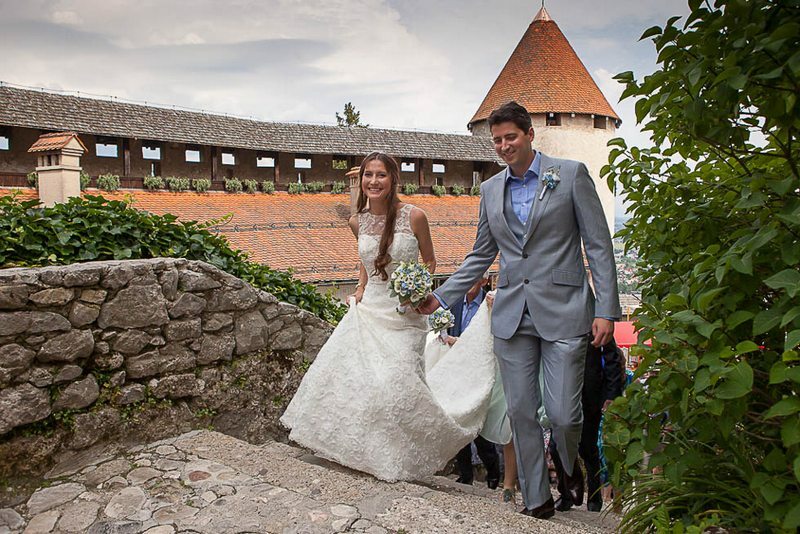 A wedding day spent in the enchanting company of the Lord and Lady of Bled Castle is simply unforgettable. The wedding party at the castle restaurant is a perfect round-up to the romantic day. An optional visit to the old castle print house and wine cellar will add to the charm to this special day. For those who prefer to keep the whole event in one place, the hotel wedding would be a perfect choice. 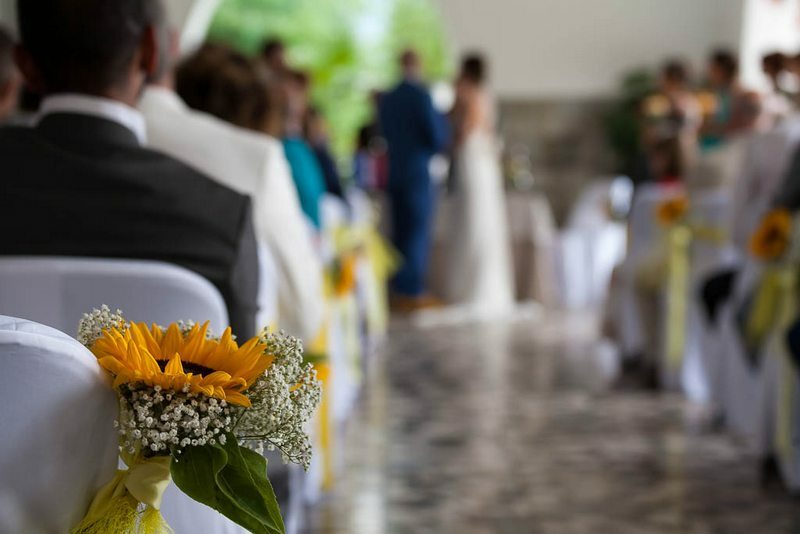 The wedding ceremony or party can be held in the hotel hall, a restaurant, in a beautiful and aesthetically accomplished salon or outside in nature in the green park. Let the style, accomplished decorations and elegance guide you into another world for a day, a word different than any other day.